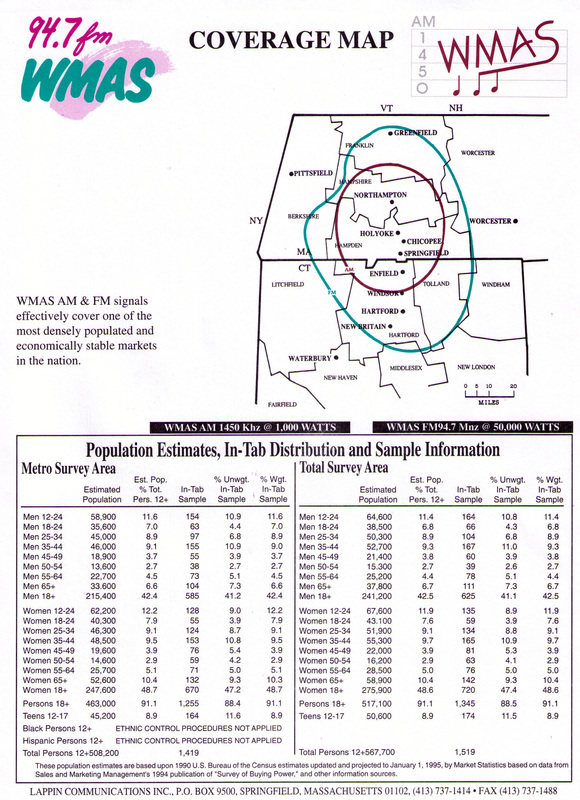 In keeping with the decline of AM radio, WMAS-AM in Springfield, MA worked to keep a pulse through the mid-90’s. Playing a satellite delivered Music of Your Life format, the station chugged along with a morning host and morning news announcer. After 10 the AM it was ‘All Bird All The Time’. While the audience was very loyal, the 1,000 watt station was faced with the stark reality that it’s listeners were literally dying. Eventually the local news was gone and not long after so was the local morning announcer. Around 2008 the station changed to Scott Shannon’s satellite delivered True Oldies Channel and brought back a local morning host and news announcer. 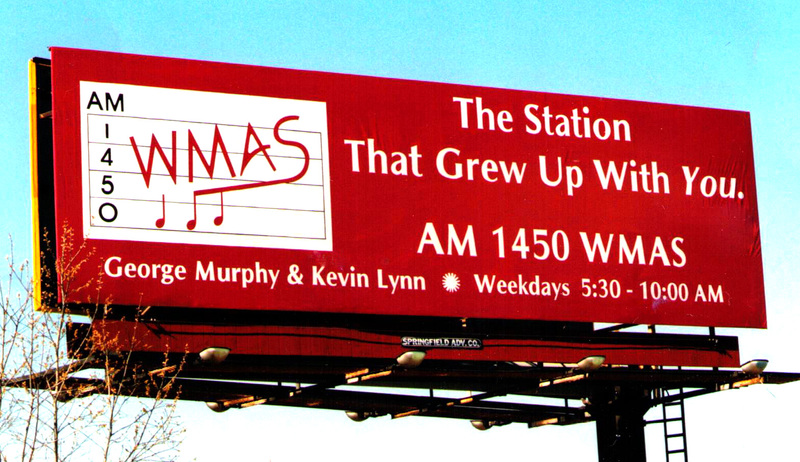 WMAS did attempt to broaden the audience through outside advertising like this billboard campaign. At this time the Music of Your Life format was trying to broaden it’s appeal by playing songs from the 40s to the 70s. That along with signal issues did not lead to much success. The 1996 coverage map shows the reach the station. While it had issues, the station was able to tap into a potent audience. When an account representative mentioned to the morning team the plight of a young girl facing a terminal illness, an on-air fundraiser was launched on the spot. Around 8 AM George Murphy and Kevin Lynn declared they would stay behind the microphones until $50,000 was raised for the girl’s family. The goal was reached at 7 PM and the pair signed-off. Today WMAS-AM no longer exists. 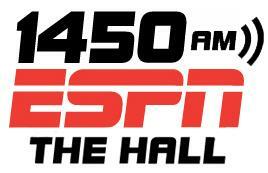 The station now operates under the WHLL call letters as ESPN 1450 ‘The Hall‘. The station changed to an all-sports format shortly after moving from West Street to new studios in the Basketball Hall of Fame.